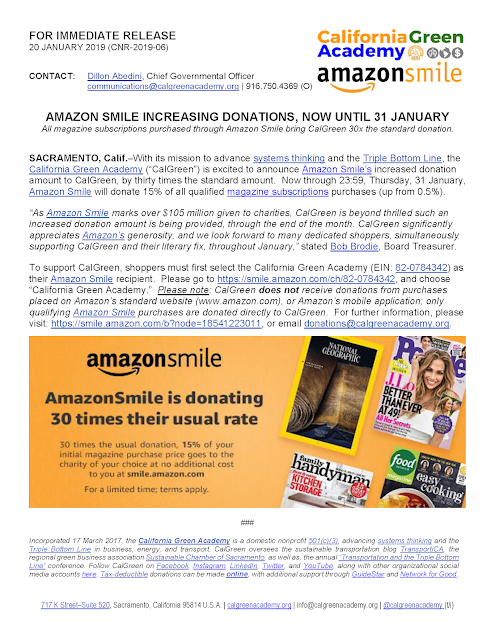 TransportiCA: Amazon Smile is Increasing Donations to TransportiCA / CalGreen, now until 31 January! 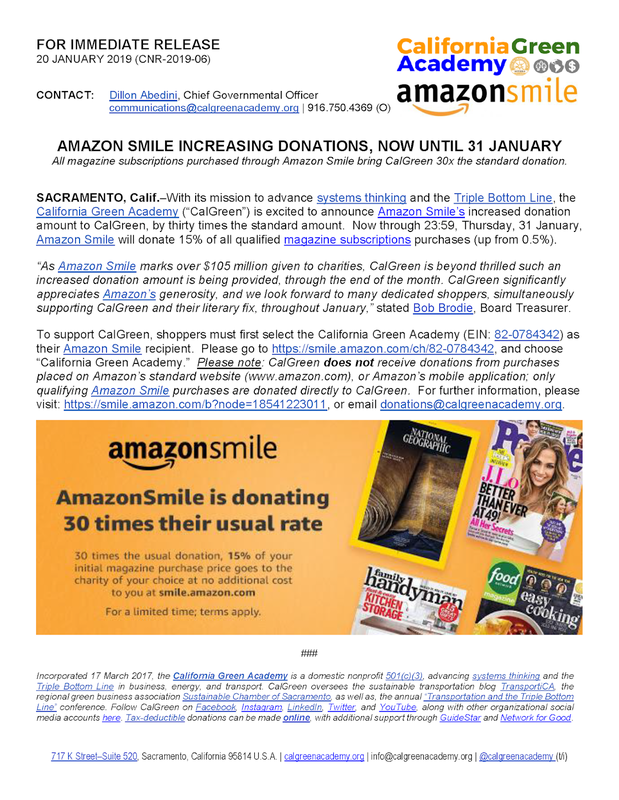 Amazon Smile is Increasing Donations to TransportiCA / CalGreen, now until 31 January! 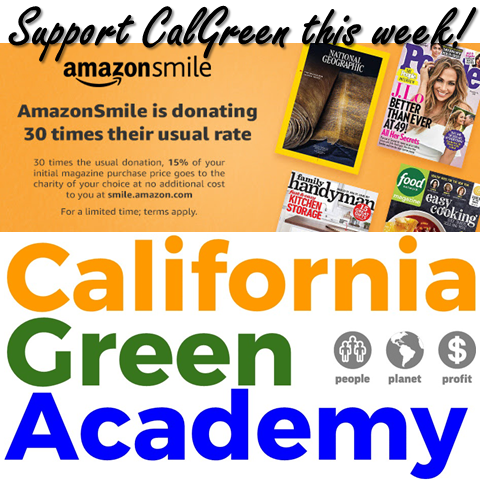 A PDF of this release can be downloaded at the California Green Academy blog.